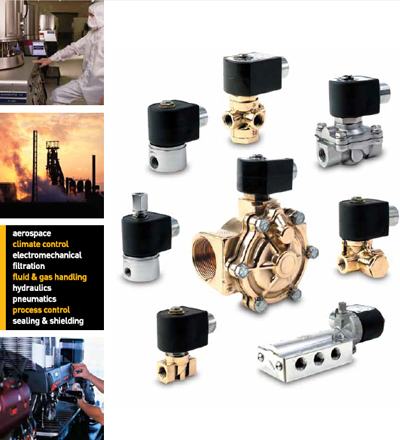 The Parker 2 or 3 way valves for all fluids, including air, offer large possibilities to control many kinds of fluids with different sealing and flow capabilities. 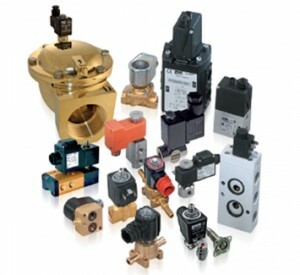 According to the installation and requirements, a wide selection of robust valves is proposed to fulfil the most demanding needs. 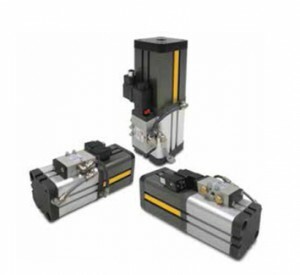 The modular concept of our products, having separate solenoid valves and electrical parts, provides the customer with increased flexibility by allowing numerous combinations. This additional flexibility can enable distributors to greater reduce valve inventory levels, whilst retaining the same number of capabilities. Parker also has unrivalled experience in developing customised product solutions complying with the highest technical, environmental, energy and service life requirements. 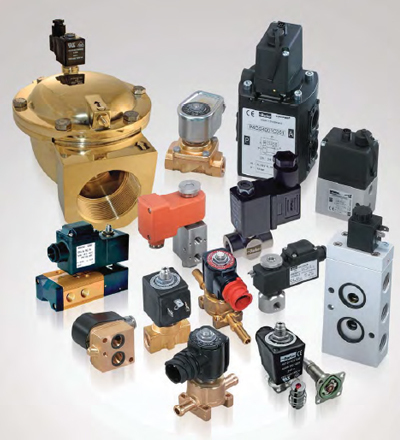 Control of single or double acting pneumatic actuators, in safe or dangerous areas. 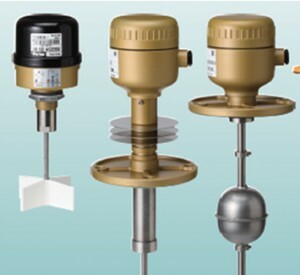 The interface design is conform to the NAMUR standard and to the VDI/VDE 3845 recommendations of the actuator industry. It allows a compact design of the actuator/valve unit. In case of a 3/2 function, the air of the actuator spring chamber also flows through the pilot valve (re-breather function). This prevents corrosion of the actuator springs. An Angle Seat Valve is actuated by a pneumatically driven piston and is capable to handle slurry solutions with particles or corrosive fluids at high temperature up to 180°C and operating pressure up to 16 bar, thanks to its high-grade 316 st.steel and PTFE seals. Compliance to Explosive Atmosphere (zones 1/21 and 2/22) as well as a visual position indicator are provided as standard. 3/2 way direct acting AC/DC Pilot Control Valves are available as separate components from the large assortment provided by Parker FCDE. 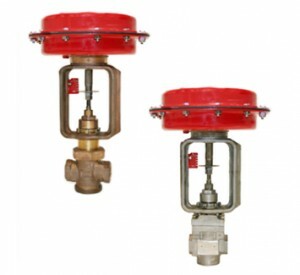 High-grade material and corrosion resistant 201, 202, 301LG Valve Series is a complete range of 2 way and 3 way valves, direct acting, normally close and normally open. 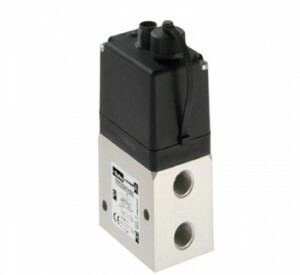 This new range of solenoid valves, having AISI316L grade stainless steel body, is the right answer for a wide range of applications in Food & Beverage Industry, Process industry, Wastewater treatment appliances, Marine, high temperature steam applications in aggressive environments or with aggressive media. FFKM seals option is available in order to increase mechanical, high temperature and aggressive media resistance for the most specific and demanding fluid control applications. Thanks to the modular concept, a wide range of electrical parts can be used including ATEX, IP67, H class, reduced power, UL or VDE approved. A wide selection of valves is also NSF certified; please consult Parker documentation to find out the NSF certified models. Mechanical ATEX approval is available. • NSF certified references available, please consult Parker documentation in order to find out NSF certified options. 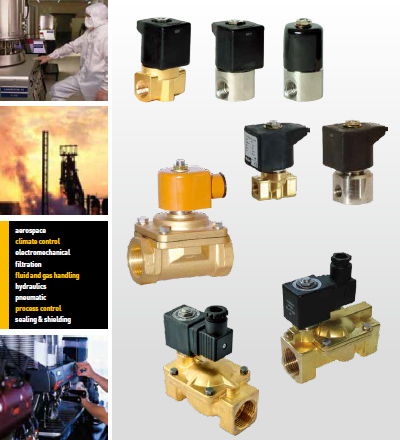 These new 2 & 3 way cartridge valves offer the most compact solution. 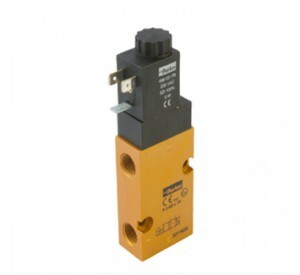 Easy to integrate, these solenoid valves can be populated into the smallest portable devices improving performance, size and weight. This range is available in 3 sizes (7, 15 & 21 mm) with a wide range of orifices (0,3 to 4 mm). 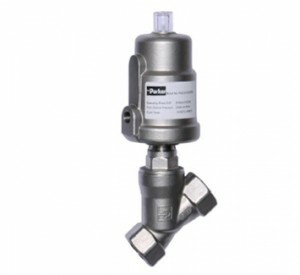 EPP4 is an electro-pneumatic pressure regulator with an integrated electronic system. 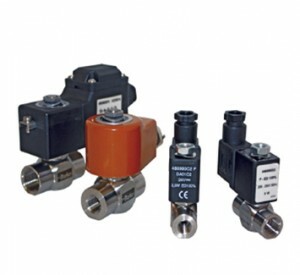 Two pulsed width modulated solenoid valves control the output pressure proportionally to an analogue input signal. 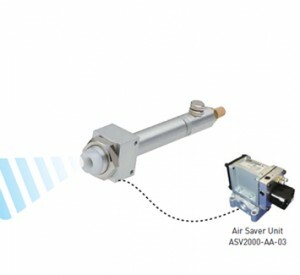 Very high accuracy is guaranteed thanks to a high precision closed loop signal provided by a built in pressure sensor. Designed to work in harsh environments it can also be produced for Explosive Atmosphere as well as for Oxygen use. Ionized spot pulse blow remove strong electrified dust and prevent static electrified dust accumulation effectively! Nozzle type Spot Ionizer dis-electrify the static electrified point at a pin point by using compressed air. ● High frequency AC discharge system creates stable ion balance. ● Built-n control circuit board in 28mm width compact body. ● Selectable from straight and elbow style nozzle. ● Two color LED indicate normal or abnormal operation. ● Daisy-chain connection makes multiple Spot Ionizers usage easy. 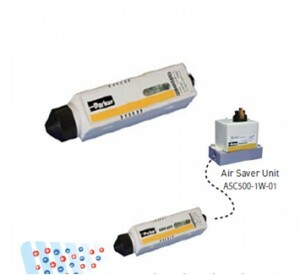 Jets out Cold Air (Maximum -60℃)than inlet air only by supplying compressed air! Long life. No electricity or refrigerant is necessary. Spot Cooler is a cold air generator (vortex tube) that apply the principle of vortex theory. Compressed air is whirled in high speed inside Spot Cooler and separates cold and hot air. Spot Cooler does not have moving part, and refrigerant and electricity are not necessary. It can be used not only for spot cooling by cold air but also warming up by hot air. would be possible to reduce approximately 50% of air consumption. includes body and assembly, power train, metal stamping, components and trim. change of a spot welding gun. to the product that is being manufactured. tested to assure the quality that is expected from Sinclair Collins. • Three actuator sizes: 37, 64, 135. Maximum 35 PSI on 37 and 64 sizes; maximum 25 PSI on 135 size. 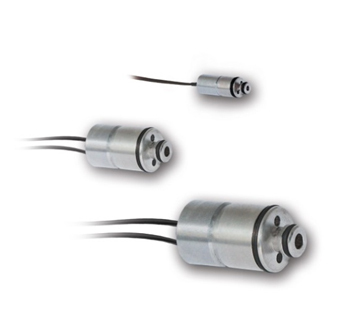 • Multi-spring, low-profile actuators offer a 12 PSI control band. Other options available. 인증관련 제품은 보광유공압에 문의 바랍니다. 잠깐! 찾으시는 제품에 대한 도움이 필요하세요? 문의 남겨 주시면 빠르고 친절하게 도와 드리겠습니다.